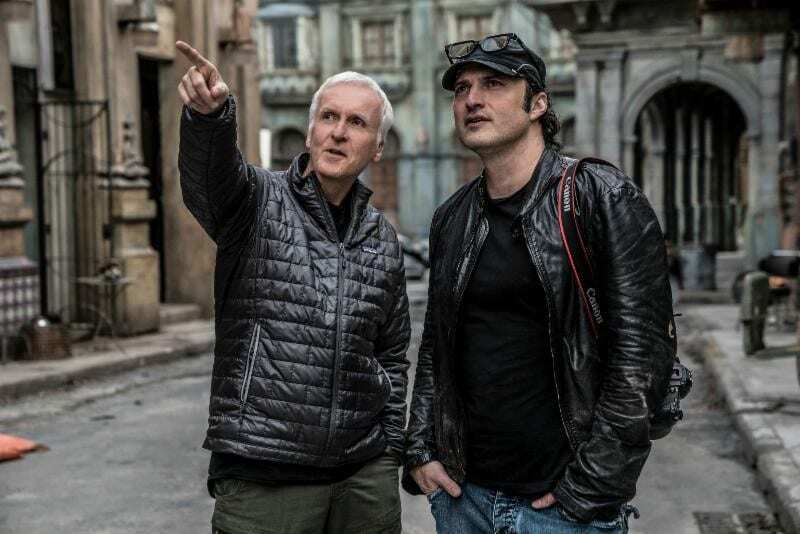 Robert Rodriguez and Jon Landau’s latest film, ALITA: BATTLE ANGEL hits theaters on February 14. POPAXIOM spoke with Rodriguez and Landau about the blockbuster sci-fi epic that has been in the works since 2003. Rodriguez is best known for EL MARIACHI, the SIN CITY films, and the SPY KIDS franchise. Landau is a producer and frequent collaborator of James Cameron, having worked on such films as AVATAR and TITANIC. ALITA: BATTLE ANGEL tells the tale of a young cyborg who sets out on a journey of self-discovery and fights to change the world. 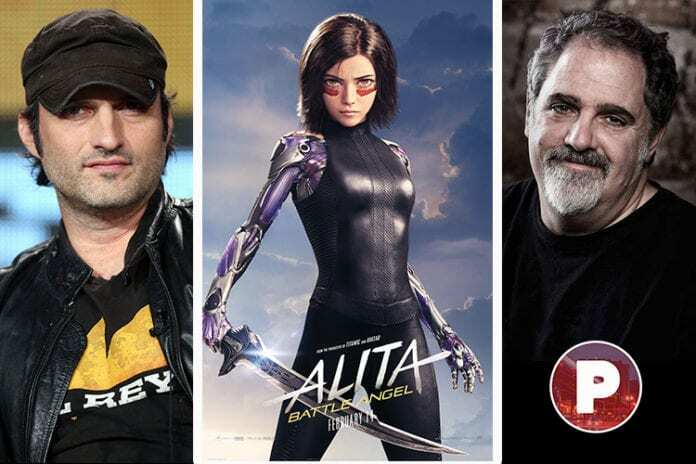 POPAXIOM: Mr. Landau and Mr. Rodriguez, how do you want Alita’s journey of self-discovery to empower and inspire young women who see this film? 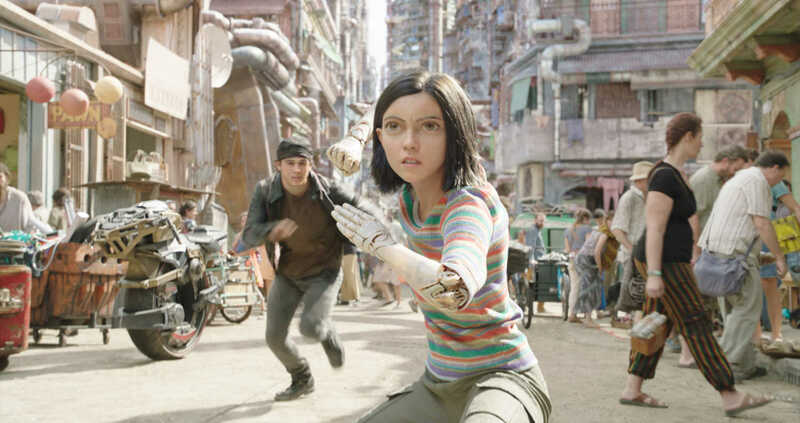 Landau: I think we want Alita’s journey to inspire people to realize that inside of each of them is the ability to make a difference — no matter what society might tell us, no matter what people around us might tell us. Alita says at one point in the movie that she’s just an insignificant girl. I think at some point in our lives, we have all felt insignificant, but in fact, we don’t have to be. Rodriguez: For me too, it was just a very universal story. She feels very insignificant, but finds she actually has great power to change the world. And it’s also about how she views the world. She changes everyone’s point of view that she meets. It’s easy to look at that as a very dystopian world, but she sees the world for what it can be instead of what it is. That’s just a very timely and also very timeless sentiment. POPAXIOM: This project has been in development for quite a long time, what was the best part of seeing the film, finally on the big screen? Landau: The best thing for me about seeing it completed was when I flew to Tokyo about ten days ago and I screened the movie for Yukito Kishiro, the creator of the manga. And he watched the movie, and when the movie was over, through a translator, he said to me, ‘Jon, you’ve lived up to the commitment Jim [Cameron] made to [me], that [you] would be true to [my] vision of the work and not distort what [I] had on the manga page.’ He said to me that the movie was more emotional than he thought it would be and he thought that the action, from the fights to the motorball, was on a scale he could not have imagined when he was doing his initial drawings for it so many years ago. And to me, that’s a pretty rewarding moment in my life, let alone just on this movie. Rodriguez: It really is. And I can tell you coming from doing SIN CITY. When I’m filming SIN CITY, I’m there operating a camera myself, holding it in front of the actors’ faces and me and them are in the zone. But even if we felt we had something really great, a great performance, we called cut, and we had to go back and see what Frank [Miller] thought. We’re not really done unless Frank had a big smile on his face. If Frank had a big smile on his face, this is his world, he created it, so we knew we had gotten it. If he was like, ‘Maybe let’s try…’ we knew that we had to go back and try again. To get that kind of confirmation from the creator, that is a dream come true, because we want to please them for sure. They know it better than anybody. POPAXIOM: One change that was made from the source material was switching the setting from Kansas to Latin America. How do you think this changed the characters and story? Landau: I think the reason we did it was motivated by Jim Cameron. He makes movies, even though they’re science fiction, they have to be grounded and what we call ‘science fact.’ And for Zolem to ever have existed and to have been connected by a space elevator, it would have had to have been near the equator. So we placed it there with Kishiro’s knowledge. And I think that what it did was give a universal relatability to the movie. Using Panama City as an inspiration, but any Latin American city really, and the history that’s there, gave it a vibrancy and a texture to it that is relatable. POPAXIOM: Mr. Rodriguez, you started your career making films on a $7,000 budget and now you have made Alita with a budget well beyond that. Apart from the obvious, what is the biggest difference between shooting micro-budget and big-budget films in your eyes? Rodriguez: When I talked to Jim [Cameron] about it, he said, ‘A lot of the stuff you’re going to do in this movie is stuff you’ve done before. It’s just a matter of scale.’ It’s not really a matter of technique. You’ve always been getting into cutting-edge technology early on, even in your scrappy, lower-budget stuff and people forget that Jim started the same way as me. He started from the Roger Corman school of filmmaking, making movies like TERMINATOR with rubber bands and popsicle sticks. He elevated to such a big visualist and creating cutting-edge technology with his movies, but we forget he started out that way. So I was really inspired to go work with him and see how he did it and how he does it. And he taught me a lot. One of the main things I was able to buy this time that I wasn’t before was the realism. My movies tend to be more whimsical because I just don’t have the budget to do reality. This one, and Jim’s philosophy on sci-fi and fantasy, is to really ground it. Otherwise, you won’t buy the fantasy. So I kind of got rid of the green screen and thought, ‘I’m not going to do this as a stylized manga come to life. I want this to look like real sets, real locations, real actors. She’s really biting an orange,’ so that it’s more grounded like Jim’s movies are. Then you can leave the fantasy more and buy more of the humanity. POPAXIOM: The film contains a sport called motorball which lends itself to some awesome action sequences. What was your favorite part of shooting those scenes? Rodriguez: Well, that was probably the hardest scene for me to do because it was so clearly-written in Jim’s script and visually in the graphic novel. It’s awesome, it’s high-speed. It’s easy to get lost in a movie when there’s that many characters, that high speed, so I started drawing that out. I think I showed Jim the first version of that at the end of 2015. I was drawing paper storyboards by hand and cutting them together with sound effects and music. I knew it would take a long time to kind of nail it down. I only barely saw the finished version a couple weeks ago. So it’s taken that long to realize it. Yeah, it’s just a high-speed action extravaganza sequence. But Jim figured out how to use it in a very dramatic way where they’re not even playing the sport; they’re just trying to kill her. So it’s extremely high-stakes, very exciting. I remember when I first read that scene, I was jumping out of my seat thinking this is the coolest, craziest, high-stakes, dramatic scene because of how he set up the story. And I couldn’t wait to be a part of this movie to try to make this come to life. 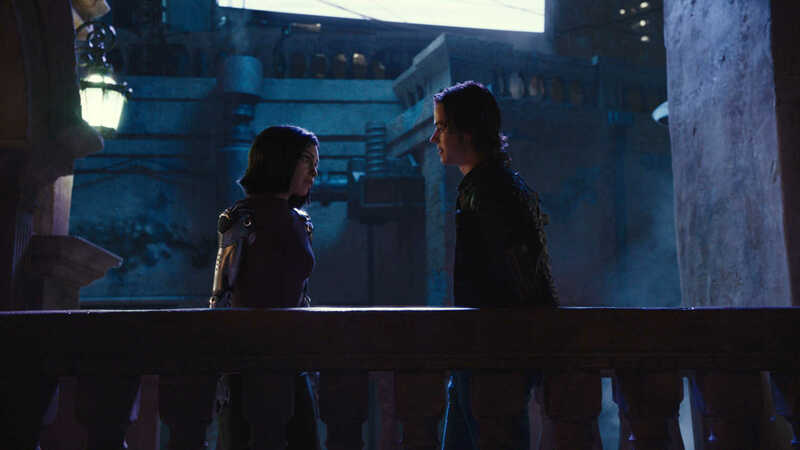 Rosa Salazar (Alita) and Keean Johnson (Hugo) star in Twentieth Century Fox’s ALITA: BATTLE ANGEL. Photo Credit: Courtesy Twentieth Century Fox. 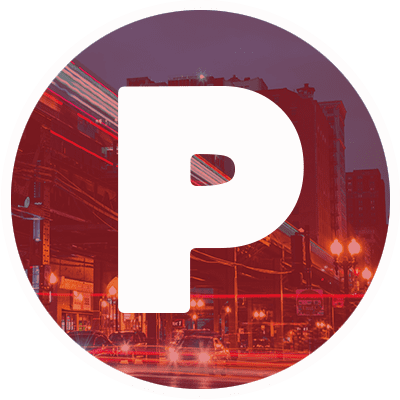 POPAXIOM: ALITA: BATTLE ANGEL is a grand sci-fi epic, and we’re seeing fewer and fewer of this type of films now. Why do you believe it’s important for people to see movies like this on the big screen? Landau: Well, I think it’s important for people to see movies on the big screen PERIOD! And I think this type of movie, though, and Robert’s style and his expertise at 3D stereo and all of these things reminds people of why the cinema-going experience can be special. What Robert was able to create with the team is a cinematic experience, and I think the communal experience of sharing that experience with others is something that you can only get in the movies. The analogy that I was making earlier today to somebody is that we have streaming music and all of these other things, but the concert experience is still special. Well, the cinema experience to me is the visual medium’s equivalent to music’s concert. What did you think of the interview, are you going to see ALITA: BATTLE ANGEL opening weekend? Comment below with your thoughts.